What is this goop in my baby’s eye? Blocked tear ducts: About 25 percent of infants, by the second or third week of life, develop some slightly yellow or clear eye discharge from one or both eyes. The discharge looks worse when the infants first awaken. At this age, they start to produce some tears (although they do not “cry tears” until closer to three months old). But because newborn tear ducts, the drainage system for tears, are not completely open, tears either spill over, causing a watery discharge, or accumulate in the eyes during sleep and become slightly thicker “goop” that wipes away easily. Babies with blocked tear ducts have normal appearing sclera (the whites of the eyes) and normal vision. Blocked tear ducts are not painful. 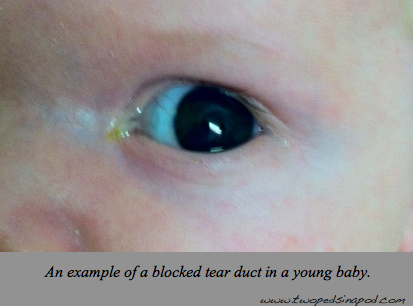 Fortunately, the tear ducts open up spontaneously in most babies without intervention. This process, which is usually complete by three month of age, can take up to one year of age. An infection in the eye causes a baby’s eye to become painful, red on the inside, and sensitive to light. The discharge becomes pus-like and increases in amount. If you are not sure if your baby’s eye discharge is from an infection or a blocked duct, consult your pediatrician. Why do my baby’s eyes cross? Young infants’ eyes may cross as they gaze at an object. This crossing is a result of an immature nervous system. By three to four months of age, a baby’s eyes should always move in concert when she gazes or follows an object with her eyes. If your baby’s eyes cross after this age, alert your child’s pediatrician, who will likely refer your baby for an exam by an ophthalmologist who is comfortable examining babies. It is important to make sure the eyes are both seeing equally and adequately, as well as to make sure the eye muscles work properly. See our previous post on crossed-eyes. What is normal vision for a newborn? Babies are born nearsighted. They see clearly the distance to a face when being held. Some newborns will stick out their tongues in response to seeing their parents do the same. So, be sure to look at your infant when you are feeding or rocking her. Far vision develops gradually over months to years. 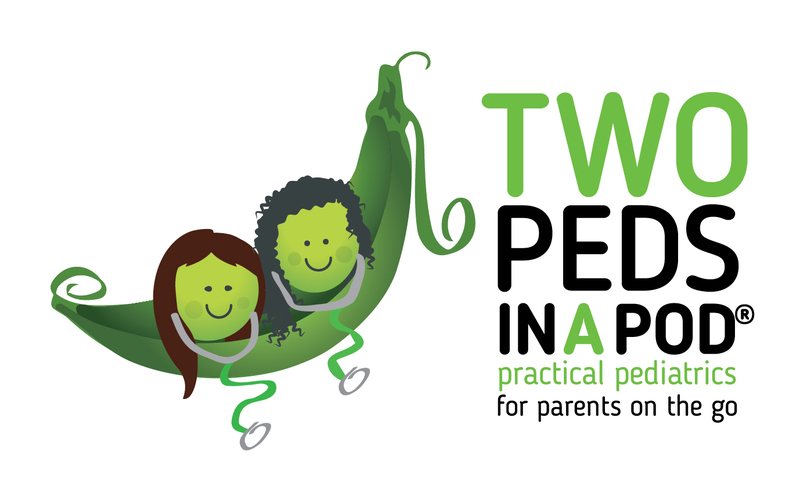 A child’s vision is not 20/20 until about five-years old. The color of a baby’s eyes generally becomes established during the first year. Some stay the same color from birth. My own children were all born with either blue or grey eyes but now all are brown, much to the delight of their blue-eyed grandmother. My oldest was nine months before his eyes turned brown. Some of my patients did not develop their permanent eye color until two years. Here a few more eye facts: The part of the eye with color is called the iris. The hole in the center of the iris is called the pupil. Pupils should always look black. In a photograph they can look red from a flash. However, if you ever see white, yellow, or grey reflected in the pupils, alert your baby’s doctor.